From time to time, you need to go for a medical check up to ensure that your system is functioning normally. This is done to keep a track on the body, maintaining its normal function and detect any disease, if any. It is simply a screening, done to make sure that your body operates in the right manner. It is important to maintain the fitness of the body, so doctors recommend you to visit them and get a thorough check up. This is particularly necessary for children and older people, who are more susceptible to diseases. 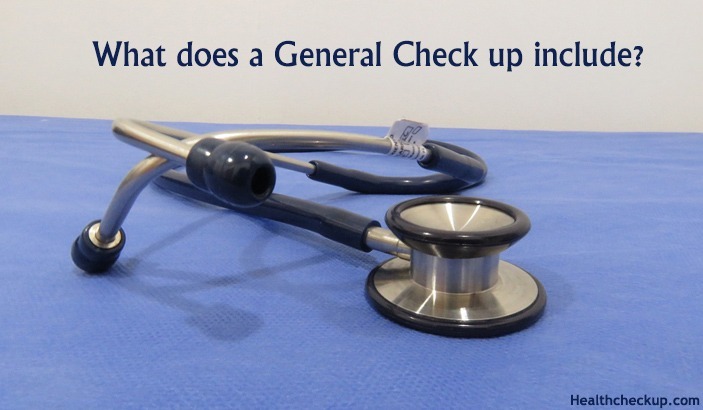 You may be interested to know What is included in a general medical check up. Read on to get the details about the elements in your body that are examined by the doctors during a general medical check. Doctors check the height and weight in adults as well as kids. You may wonder that the height of an adult remains the same, so if anything special is there to be checked out. This is done to check out obesity or excess weight gain. If you gain extra pounds in your body, which is disproportionate to your height, it is harmful to the health. The doctors prescribe means to get rid of extra weight in these cases. After a certain age, you need to keep a check on the blood pressure of the body. People may have high blood pressure or low blood pressure related problems. These have an adverse effect on the health if you fail to maintain a balance. Another important area that the doctors check out is the level of cholesterol in the blood. Diabetic patients need to watch out for the cholesterol level at regular intervals. You may not have diabetes, but the level of bad cholesterol should be kept under control. The doctors check out the cholesterol level in blood and ensure optimum health conditions. Blood sugar may pose a problem to our health. If you have problems with blood sugar, the physicians prescribe suitable medicines for you. You need to pay timely visits to the doctors to ensure that the medicines are working properly. At times, the doctors may prescribe a different set of medicines, if necessary. Throat check ups also come under a general health check up. It is important to keep an eye on throat problems, particularly if you are a smoker. In other conditions, infections in the throat may also pose a threat to your health. Ear check-ups ensure that the audibility of a person remains normal and no infections in the ears take place. People who excessively use headphones are more prone to have hearing problems. An ear check on a timely basis helps to keep a check on the incurred by the ears. Eye check is necessary, especially if you are a student or professional working long hours in front of computer screens. The different parts of the eye are checked during a health checkup, ensuring that they are functioning normally. For people with high power in eyes, doctors may prescribe a new glass, if the power has changed. This is an optional examination done during a medical checkup. People with cardiac problems need to undergo this scrutiny so that any abnormality in their heart can be detected. If you are a heavy smoker, you may have to undergo a chest X-ray during a general medical checkup. The harmful particles keep on accumulating in the lungs, which can cause serious problems in the course of time. An X-ray can detect infections, blockades and other problems in the lungs. If you face any specific problem with your body, you can convey it to the physicians during a medical check-up. You may be suffering from weakness or irritation in your skin, or have any other issue with your health. When you point out these problems, the doctors examine the same and prescribe suitable medicines. You may think that you are fine, without any disease and skip a few medical checkups, but these can create health issues in future. Certain problems can be eliminated if they are detected at the outset. General health check-ups act as precautionary measures to safeguard your body and keeps your system fit.